With regular assessments, data center managers can see where things stand with capacity, efficiency and storage needs which is important as many data centers find themselves in predicaments that could have been otherwise avoided. 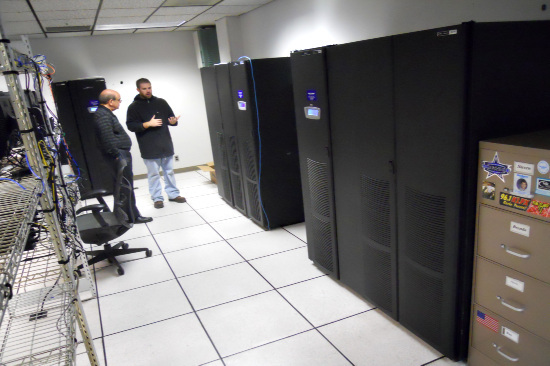 How often do we hear about a data center running out of room and having to suddenly move. A data center move is a major undertaking and the more time to carefully execute a move, the better. Are you about to roll out something new like cloud storage or virtualization? An assessment must be completed before rolling out something new to ensure that it will be successful and not create problems. Additionally, how many times have we heard that power needs exceeded power supply ability? It is exactly these scenarios that remind us that many problems can be avoided with assessments. It can be easy to talk about the need for monitoring but the true challenge is implementing consistent schedule. Will they be conducted from within or will an outside party be hired to conduct assessments? How often will they be completed? What will be assessed? All of these questions must be answered and a precise strategy implemented, as well as communicated to staff so that everyone is on the same page and assessments can provide real and accurate information. Physical infrastructure must be assessed because so often this is where we see major problems arise. Whether there is inadequate backup power supply, inefficient PUE, infrastructure is starting to outgrow existing space or infrastructure can actually be reduced and efficiency improved – a current assessment of infrastructure will provide a significant amount of information about a data center. Because everything is connected and somehow interrelated it is important to assess everything in its entirety to ensure that nothing is missed and nothing accidentally negatively impacts another aspect of the data center. Once an appropriate assessment plan is determined a schedule should be set and it should be executed regularly and consistently moving forward which will help a data center to remain efficient and effective in the future.